Guest blogger Jaillan Yehia usually struggles with colder climes – but that all changes come Christmas when she’s a sucker for short breaks to snowy Christmas markets, stocking up on bobbly hats, wooden toys and drinking a lot of Glühwein. Recently, Teresa Curran revealed her favourite European Christmas markets – here are Jaillan’s picks. Seasonal stalls selling everything from wooden toys and hand-dipped candles to knitted hats and rustic Christmas decorations are springing up all over Europe at this time of year, from Prague to Paris, and Barcelona to Berlin – deciding on the best one is the subject of much heated debate. Christmas shopping is so much more fun when done outdoors while enjoying traditional hearty food to keep the cold at bay – washed down with the glue that holds the whole experience together: Glühwein (mulled wine). I’ve picked my top three classic festive markets; each offering something slightly different but all providing the perfect scenic backdrop to get into the festive spirit. Why go? To experience a Christmas market on a huge scale in a buzzing European capital. This yuletide market is a whopping 2km-long, 240-stall, Christmas shopping extravaganza. With chalet-style stalls decorated to look like gingerbread houses, adorned with twinkling fairy lights and snow top roofs, this city goes all out to wow us at Christmas. 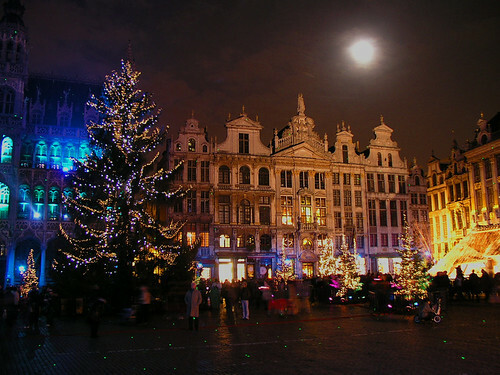 The theme is light with an electronic 24 metre-high tree forming the centre point of a sound and light show, and this year you can ascend the tree trunk for panoramic views of the Market Square and Brussels beyond. The huge number of attractions include a 60-metre-long ice-skating rink with shows and ice-disco parties, an Ice Monster, merry-go-round, and a toboggan run, plus a giant Ferris wheel and the pièce de résistance, a spectacular nightly light & laser show at the Grand Place set to music and projected onto the gothic Hôtel de Ville. Why go? For beautiful winter scenery and superior snacks in a real fairytale setting. 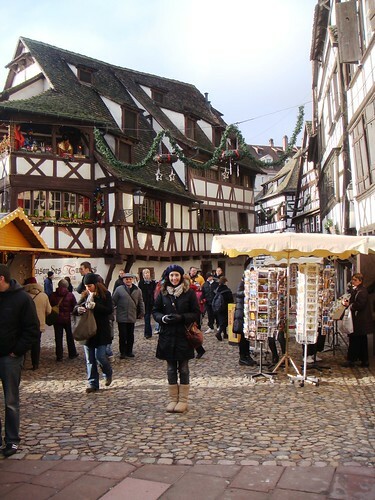 Strasbourg, the Alsace Capital has been holding its famous Christkindelsmärik around the awe-inspiring cathedral since 1570. This region of France is a spectacular place to celebrate Christmas, combining the best of French and German festive traditions – and the food is some of the best you can hope to taste at Christmas markets too, from local wines and beers to home-made jams, biscuits and cakes. The highlight of this quaint capital is La Petite France, a cosy medieval neighbourhood of enchanting twisty streets, filled with half-timbered buildings straight out of a storybook. A programme of concerts runs over the weekends, and there’s a giant Christmas tree, an ice garden and rink as well as festive boat rides on the city’s charming waterways. Why go? To soak up tradition and romance in the medieval heart of Germany’s easy-to-reach financial capital. 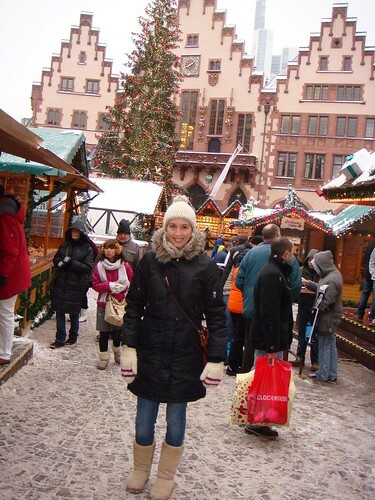 Frankfurt hosts Germany’s oldest and largest Christmas market on the Römerberg, the city’s most historic square. There are around 200 traditional wooden stalls selling everything from crafts and traditional gifts to delicious culinary specialties, such aspretzels, bratwurst and Bethmännchen (marzipan) but here it’s the local Apfelwein that keeps the winter chill at bay as you shop. Set around a huge Christmas tree or Weihnachtsbaum, Frankfurt’s festive market fills the air with the aroma of baked apples, roasted nuts and gingerbread to the sound of carol concerts and the bells of Old St. Nicholas’ Church. This market is so popular, with over three million visitors a year, that for the last 10 years a version has been exported to the city of Birmingham in honour of the two cities’ twinned status. For flights or Eurostar to Brussels or flights to Strasbourg or Frankfurt, give our friendly consultants a call or visit our website.